I'm super excited to share our new coffee cart with y'all. 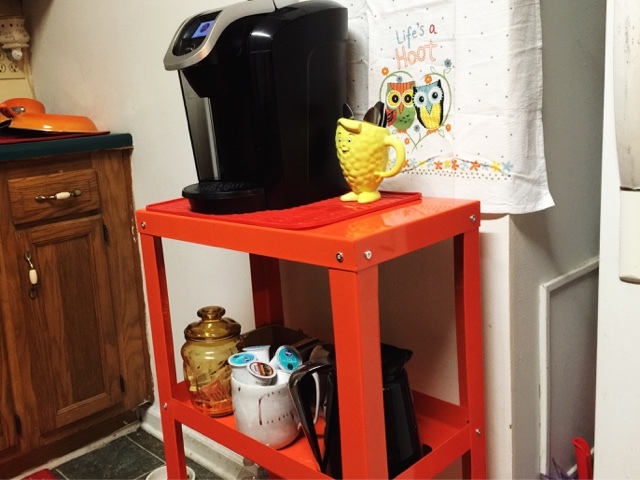 I had received a gift card to Bed, Bath, and Beyond for Christmas, and I had been wanting to make more counter space, so a coffee cart seemed like the best way to go. 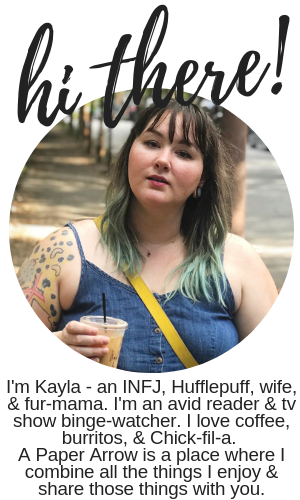 The bad news? Coffee carts started closer to $100, and I wasn't looking to spend that much. Like I said, I had a gift card, and was really looking to spend a minimal amount out of pocket. Luckily, I found this cart for less than $50. It came in multiple colors, but I picked the orange because it was the cheapest (I guess the color was "outdated" or part of a limited edition). Our kitchen colors are mostly reds and oranges, so this cart was the perfect color. 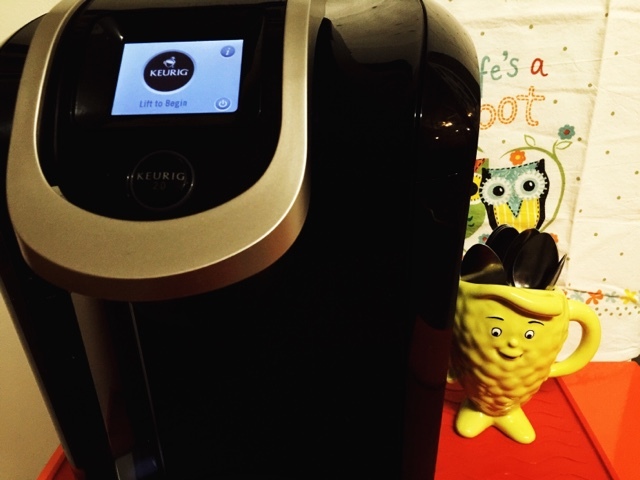 Plus, it was the perfect size for our Keurig 2.0. 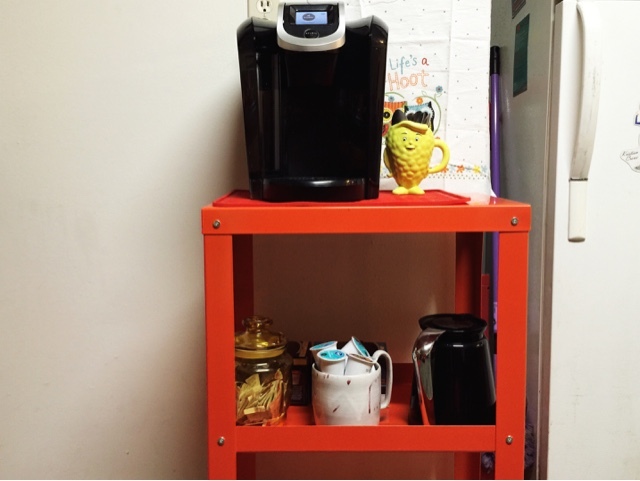 We topped the cart with a rubber kitchen mat to keep the Keurig from sliding, throw some spoons in mug and the top shelf was good to go. 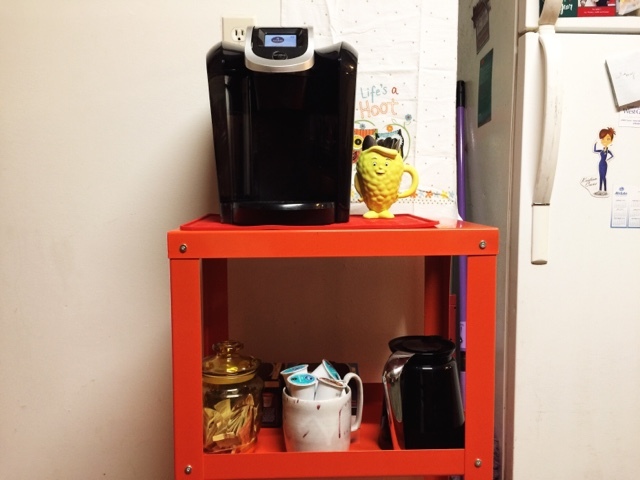 The second shelf is perfect for sweeteners and k-cups. 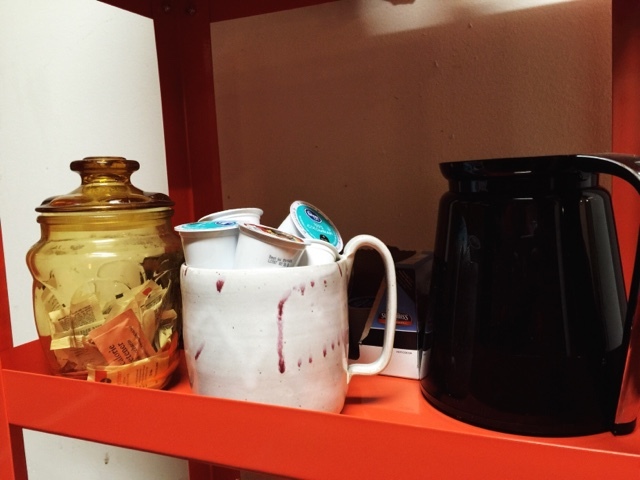 We also keep our Keurig carafe on the second shelf. 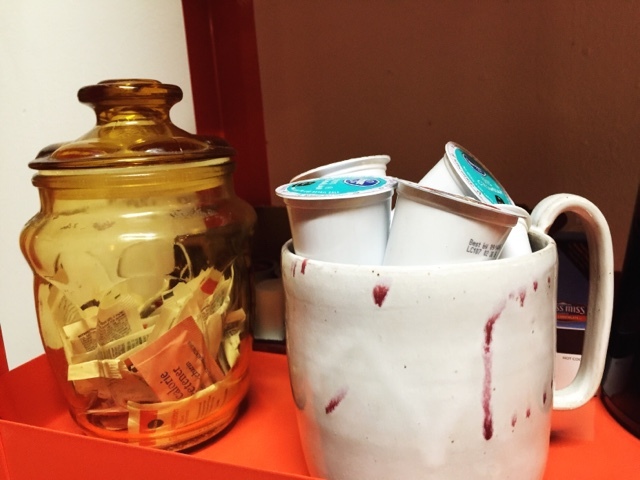 We usually just use the single pods, so the carafe doesn't get much use. There is a third, bottom shelf, but it's currently not in use. I didn't want to place our coffee mugs on the shelf, because cats, so they're still in the cabinet over to the left of the cart. 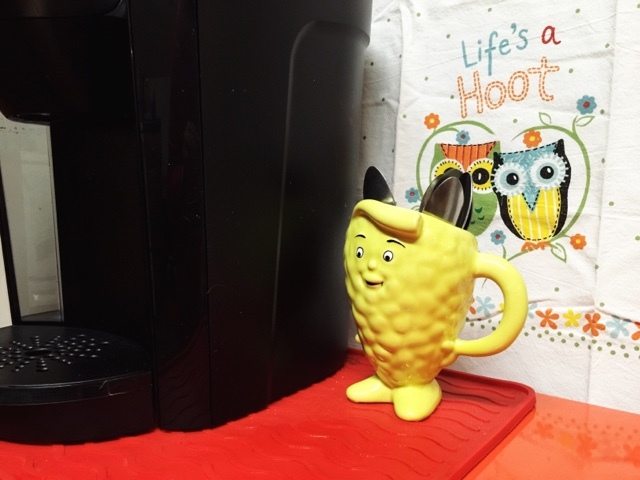 How would you, or do you, style your coffee cart?